How and when did you feel the need to start Aurus Network? Was it based on a personal experience or did you simply see it as an existing gap in the market? When I was pursuing my education in Stanford University, I starte d my research on video compression and computer network. Simultaneously I was also interning with Technology giants like Yahoo, Microsoft Research (USA) and Deutche Telekom from Germany, and the learning experience during this period was immense. Apart from the on job training, I also understood the discipline and the commitment these companies have towards research and development. It was here that I imbibed problem solving capabilities, how to take up challenges as they came and how to face them. Wherever I went, I always carried a thought that I should put the knowledge gained to serve the society better and apply technology to solve the real world problems. The same year I dropped out of Stanford program and came back to India where there was a greater need for technological innovations and research, especially in educating the students. The most pressing issue at hand in Indian education system is the quality of coaching, teaching and training methodology. Pedagogy in Tier II and Tier III city schools and colleges is not uniform and teachers – more often than not – lack a ‘one on one connect’ with their students. A class of 40 or 50 students is clubbed together and often taught by one instructor. For this reason many students opt for coaching classes. And once again the same scenario awaits the students in their coaching classes. Being from a small town myself I could relate very well to it. That was the motivation to start Aurus Network, which was established in 2010. Initially we established our head office in Bhopal, but by mid-2012 we shifted to Bangalore to make our presence felt. Superprofs.com, the flagship product was created in January 2014, to provide classroom solutions and online lectures for students preparing for competitive and entrance examinations like IIT- JEE, GATE, CA, CMA and CS. It gives me immense happiness to know that since our launch; more than 25,000 students have registered with us for these preparatory courses which are taught by India’s best known professors. With Superprofs.com students not only get access to same classroom sessions as those offered in offline classes, they also get printed study materials delivered to their home within 3-4 working days of subscribing to a class online. We also facilitate interaction sessions between students and teachers so that students can get their queries resolved. Our Aim is to make the Preparatory Phase for all the examinations trouble- free for every student in the country. We have already partnered with more than 50 popular professors and institutes for GATE, CA & CS preparation from Delhi, Mumbai, Bangalore, Chennai, Ahmedabad and Kolkata. 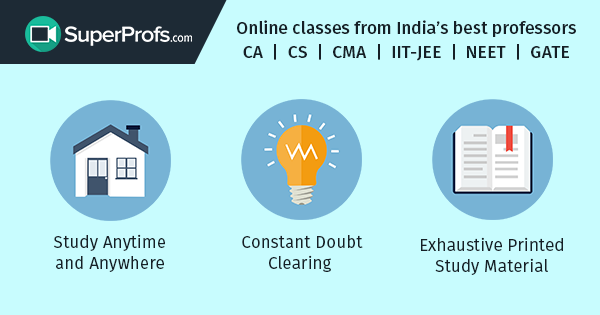 There are also plans of including GRE, GMAT, Bank, NPS and IAS among other verticals in our offerings. Aurus Network provides the tools for video creation, video management and video delivery. We are not a content creation network, but our focus is on the technology that bridges the gap between expert teachers and students. The software, compressing the feed from a high-definition camera and a microphone is sent to our servers located in the cloud, from which it can be accessed by distance learners using their mobile devices at very low internet bandwidths (100 kbps). Our flagship Product Superprofs.com brings live classrooms of popular professors for competitive exams online, so that students can attend their classes anywhere, anytime, without having to relocate to another city. We have so far course offerings for IIT-JEE, GATE, CA, CS and CMA verticals. We are planning to introduce Bank PO and GMAT and by end of 2015 we plan to launch GRE, GMAT, CAT, and IAS as well. 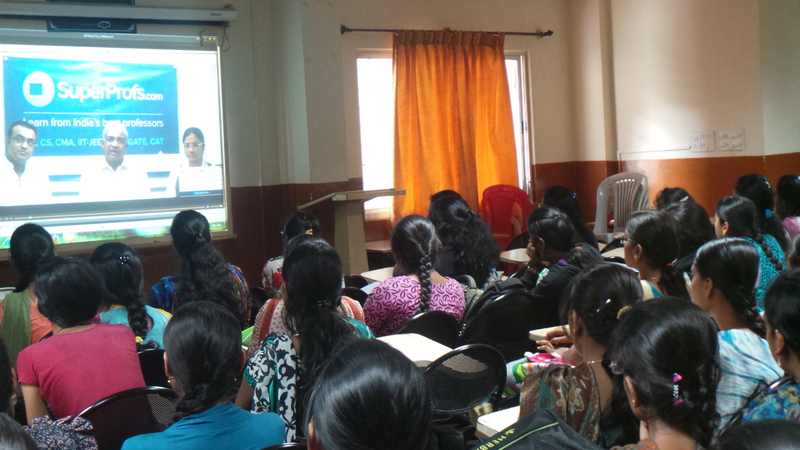 Institutes can deliver live lectures to as many as 70 centers from a single location. We work on a revenue sharing basis with the professors who offer courses on SuperProfs.com. When an Institute delivers lectures to four locations, there are all in five end points, Aurus earns Rs. 50/hour for each of these lectures delivered. How big is the ‘online education provider market’ in India and how much of the market has Aurus Networks captured? Please share some numbers, if possible. Online education sector in India has grown considerably over the last 4 Years since 2010. By 2016, the worldwide market for e learning is said to expand by 7.9 %. In 2011, E-learning industry was predicted to be 35.6 billion. Indian education is very dynamic and there is immense scope for research and innovation in the online sector. Although a very nascent domain, Indian online education is picking up traction. Today it is a billion dollar industry with many start-ups emerging and exploring this opportunity. Even the Modi government has laid path for MOOC’s by launching “Swayam Bharat program”. Superprofs.com is widely a cloud based SaaS Solutions company. Our target market is the millions of students who are appearing for the toughest competitive and entrance exams each year in our country. Focus is especially on students from tier II and tier III cities who do not have easy access to the best education in par with their peers in metropolitans. Since January 2014, Superprofs.com has seen more than 25,000 students registered for GATE, CA (Charted Accountancy) & CS (Company Secretary) exam preparation verticals with us. We focus on aligning ourselves only with the best and most dedicated professors in the country. There is absolutely no compromise on quality of teaching. This gives us an edge over our competitors. What would be your piece of advice for new players entering the online education sector in India? I would advise anybody entering the online education sector to focus on complete satisfaction of students. Because unlike goods that can be bought and returned, education is invaluable and there should be absolutely no compromise on quality. Tell us more about your personal journey. How was your life prior to founding Aurus? Did you always want to be an entrepreneur? I am a small town boy from a very humble city Bhopal, where I was born and raised, my father works for a Medical College and my mother is a home maker. I was never a very bright student in terms of studies. Throughout my school and college days, I used to love using computers to solve some interesting problems. For e.g., while in school, I used to write computer programs with my elder brother who was doing engineering at that time, while our school emphasized on learning the usual subjects. During my college days, I used to spend much more time in doing real world projects than studying the subjects. That helped me in developing the qualities needed to run a business, where you have to not only understand technology, but also understand that it needs to solve real pain points of customers. I moved to Kanpur to complete my B.Tech and M.Tech from IIT Kanpur, I was awarded Cadence Gold Medal for the Best Master’s thesis across all engineering departments by IIT Kanpur. After graduating from IIT Kanpur, I enrolled myself in the graduate program at Stanford University (USA) and worked on research related to video compression and computer network. My prior work experience in Yahoo and Deutsche Telekom Germany as a summer intern helped fuel my desire into innovation and to apply technology to solve real world problems. I have always admired successful entrepreneurs like Dhirubhai Ambanai (founder of Reliance Industries), Vinod Khosla (founder of Sun Microsystems), Phanindra Sama (founder of RedBus). There are many others whose journeys have amazed, inspired and fascinated me. Any given Sunday you can catch me either reading about these entrepreneurs or watching documentaries. Piyush Agarwal is the CEO & Founder of Superprofs.com (Aurus Network). While studying for his Masters in Electrical Engineering at Stanford University in the United States in 2008, Piyush Agrawal took a close look at the institute’s extensive online distance learning program. He felt the program could be run at a fraction of the cost it was incurring without compromising reach or quality and took the initiative to present an idea to the authorities. Although this plan did not see any light, Piyush assumed that this model could work in his home country where the need for such innovations was immense. Soon, he decided to drop-out of the graduate program and returned to India to start Aurus Network in July 2010. Piyush has work experience from Microsoft Research, Yahoo and Deutsche Telekom Germany as a summer intern and has also been a co-author of 8 international publications, including 2 journal papers and 1 best student paper award winner at ACM Multimedia (Germany), along with being a co-author of 1 US patent.